A lonely man, born in war, unwanted by many in his family from the time of his birth, whose very existence was considered to be “a problem” and who later went on to revolutionize the worlds of fashion, beauty, photography, and perfumery. 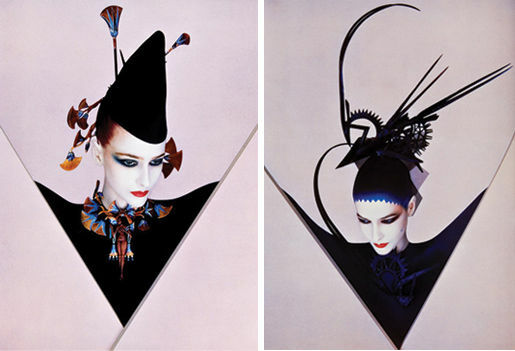 It is the story of a visionary called Serge Lutens. He may be the darling of the perfume world now, just as he was once the rising young star in both the fashion and beauty industry, but Serge Lutens’ origins are shrouded in some mystery. It is surprising, for even though he is, by all accounts, an intensely private man, he is also an incredibly famous one. In fact, his accomplishments from the 1980s to today are so well known that I found it unusual that there was rarely much talk about his early years or his background, especially on a personal level. His official biography on the Lutens website wasn’t much help in terms of such details, so I was utterly stunned to find an article, tucked away in the absolute bowels of the site, in which Monsieur Lutens talked about his childhood and his family. The article is entitled “Serge Lutens: Conversation” by Pierre Lescure for the RM Exhibition in France (hereinafter referred to just as the “Lescure article“), and it explains so much about the man who we know and love today as “Uncle Serge.” That Lescure piece was the impetus for me to dig deeper into the famous legend, his past, and what drives him. I ended up discovering more than I had expected, including the extent of his difficult childhood, the scars he bears, his genius and his accomplishments, but also many things about his philosophy to perfumery. So, this will be a two-part series with Part I focusing on Serge Lutens’ background and biography: his childhood, early years, and the events that have shaped him. Part II will focus on perfumery and his philosophy towards it. It will cover such things as, for example, his views on whether perfumes are aphrodisiacs, what he thinks about fragrances being unisex, and how his creations are, ultimately, the search for his own identity. I’ve always been a die-hard admirer of Serge Lutens, but I was rather awed by all I learnt, as well as a little heartbroken for him. I hope you enjoy the story of the solitary visionary who brushed off his painful origins and persevered like a triumphant Sisyphus to take the worlds of beauty, art, photography, and perfumery by storm, before transforming them all forever. Serge Lutens, age 10. 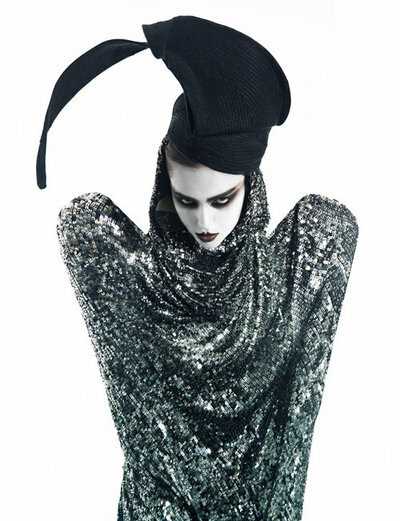 Source: Serge Lutens website. 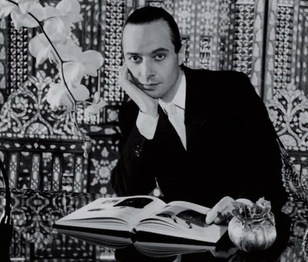 Serge Lutens was wanted by his mother. But she was the only one who wanted him. His father didn’t want her to keep the baby. The grandparents wanted nothing to do with “this woman” for their son. But she stood her ground, despite Serge’s father, despite a new husband, despite Pétain’s law that targeted women for adultery. A courageous mother, liberated in fact, despite her lowly station in life, despite everything. Despite being constantly shuttled around, and the loss of a real home or mother figure, it would seem that the very young Lutens did see his mother on occasion as a toddler. According to, the Lescure interview with Monsieur Lutens, it might have been more of an on-and-off-again thing in the early years, perhaps due to a mother’s natural fear for her baby during the terrifying time of war and Nazi occupation. At the center of the boutique gallery, anchored in the floor, at the heart of the Royal Palace, is a massive spiral stairway that seems to spin into infinity. It takes us up to the floor. 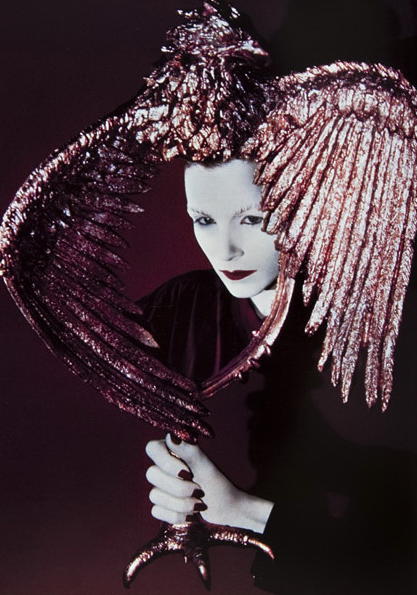 The deep, intimate, violent and artistic relationship Serge Lutens had with his mother was forced in a stairwell in Northern France in 1943 under a Nazi bombardment. “There was a warning siren. I can still see my mother’s empty eyes — empty of everything but fear. For me and for herself. We go down to a bomb shelter. I’m very small, but the memory is very precise. Everyone squeezes together. And I literally lose my mother. I am squashed by grownups. At the all-clear, I see myself being jostled and bumped, climbing this interminable rusty staircase, hanging onto the honeycomb-like surface of each step. We found each other, but the terrifying vertigo of the stairway for me is the loss of my mother. 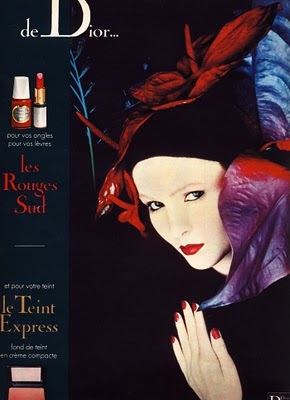 Serge Lutens’s discoveries since the early 60’s have become historic land-marks in womens’ beauty and womens’ lives. “In this woman’s life,” Serge insists. He hates when you talk about women. That says it all. For him, it’s “this woman,” his own double, whom he reinvents in every photograph, dress, makeup, makeup design, or perfume. And “this woman” is really just his mother. 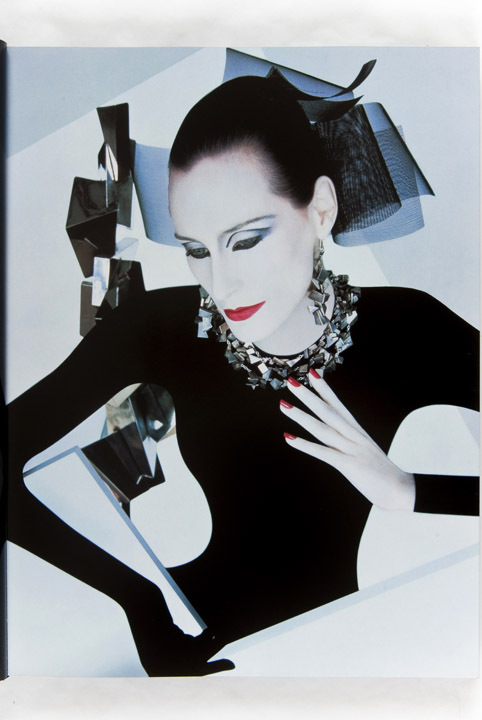 As Pierre Lescure emphasizes throughout the article, Serge Lutens’ mother is his ultimate muse and source of creativity. He is never far from her, mentally and emotionally, and has always sought to keep her near. In a moment of philosophical and Freudian symbolism, Monsieur Lutens told the journalist, “I invented her so I could exist.” She is the one whom he is ultimately and symbolically always capturing — regardless of medium, whether it is photography, makeup, fashion, or perfumery. Thus, he, “whom his father always more or less intentionally melded with his mother” has now explicitly and defiantly melded himself with her. According to Lescure, “[t]hese fragile beginnings, the solitary path, the double life, he and she makes him a sort of anti-Lagerfeld.” Which may explain, in part, why the fashion visionary to whom Lutens feels most connected is Yves St. Laurent. “Like Yves, Lutens ‘started as a problem. '” And like St. Laurent, Lutens worked incredibly hard from an extremely young age to start on his road to success. he was given a job against his will – he would have preferred being an actor – in a beauty salon in his native city. Two years later, he had already established the feminine hallmarks that he would make his own: eye shadow, ethereally beautiful skin, short hair plastered down. He also became known for the colour black, from which he never deviated. He confirmed his tastes and his choices with the female friends of his whom he photographed. He observes authentic versus fake elegance, learns how to do everything, and how to adapt everything. Like an extension of his arm and his eye, his simple little camera is always with him. 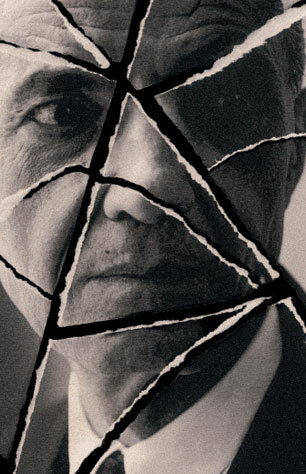 War, unfortunately, had not finished with Serge Lutens. This was France in the late 1950s, after all, and the Algerian war was raging on. It was a conflict which I studied quite a bit at one time, and you cannot begin to imagine its impact on France. It was a war that threatened to ignite the country into a civil war, and there was almost a military coup which sought to topple the French government. Like all young men, Serge Lutens was subject to national military service; in 1960, at the age of 18, he was called up. The crucible of violence had its impact, and when his one-year period of conscription was over, Serge Lutens decided to forever change his life. Around 1961 or so, he left his hometown of Lille, and made his way to Paris. 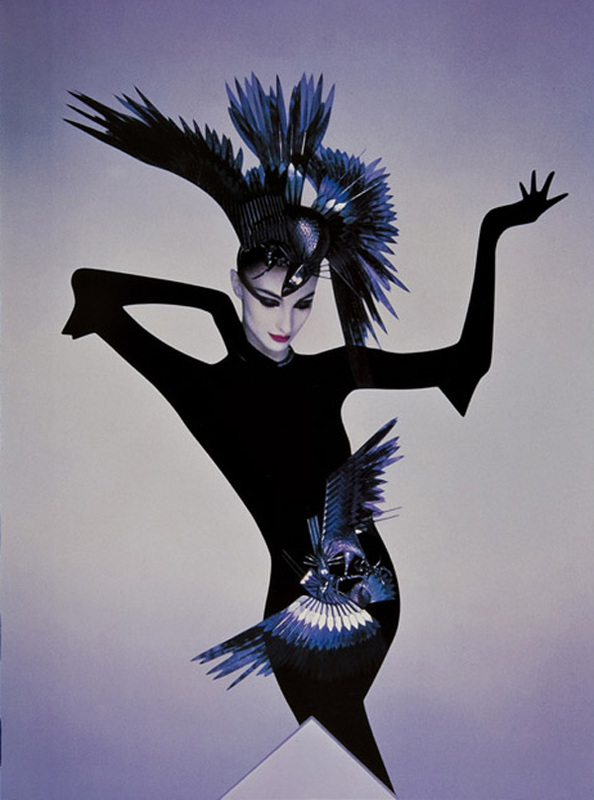 Photo: Image courtesy of Barney’s / Serge Lutens, via essence-quintessence.com. His Instamatic would wind up opening some of the very best doors. He comes to Paris in ’62. He is 20. He brings his photographs to the great Edmond [sic] Charles Roux’s Vogue, at Place du Palais Bourbon. At Elle, the […] very young Lutens would be called upon whenever there was an emergency: a photo, the perfect jewelry to complete a shoot, the Christmas edition going to press in 3 days… Quick, quick, Serge, we need an idea! The man in black would become indispensable. At the age of 20, he entered French Vogue – whose editor-in-chief was then academician Edmonde Charles- Roux – with a portfolio in hand. 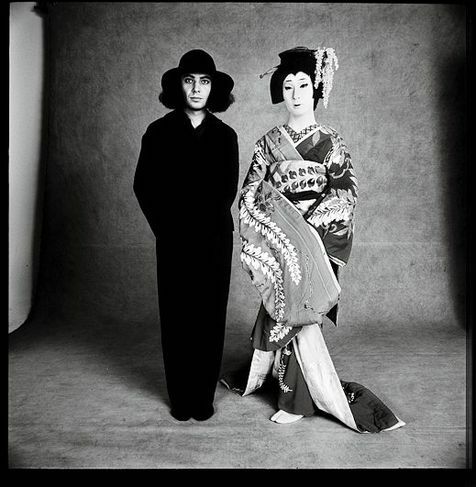 He contributed to it as a photographer, along with great names like Guy Bourdin, Richard Avedon or Helmut Newton. Actually, the young Lutens was such an instant star, that he worked with everyone, not just Vogue. All the magazines came calling, from Elle to Jardin des Modes and Harper’s Bazaar. He collaborated with the most famous photographers, while also pursuing his own art. It wasn’t just Richard Avedon, Guy Bourdin, or Helmut Newton, but also Bob Richardson, the great Irving Penn, and every other photo legend. Serge Lutens wasn’t done yet. There were new worlds to conquer, and he did so when Christian Dior came calling. 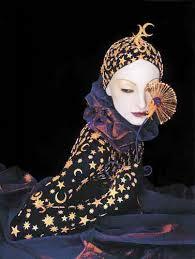 It was 1968, and though Serge Lutens was very young, his genius and versatility were clear to all. So, when one of the most prestigious fashion houses of all time decided that they wanted to expand into a new venture called “make-up,” they entrusted it to a 26-year old photographer and hairdresser. Serge Lutens ad for Dior in French Elle 1977. Source: Beauty is a Warm Gun blogspot. 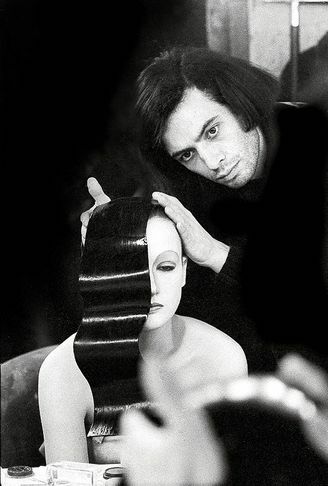 Serge Lutens, age 30, in 1972. Source: Le Monde Magazine. It still wasn’t enough. 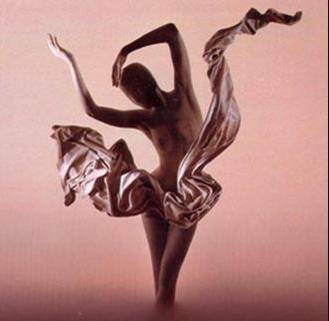 Lutens started to explore different artistic ventures, and succeeded brilliantly each and every time. In 1972, according to Wikipedia, his series of photographs (inspired by such famous painters as Claude Monet, Georges-Pierre Seurat, Pablo Picasso and Amedeo Modigliani) was impressive enough to be shown at the prestigious Guggenheim Museum in New York. In 1974, he made several short films based on his passion for movies and the legendary actresses in them. They were good enough to get shown at the famous Cannes Films Festival. During this time, he also travelled widely, especially to Morocco and Japan, two countries whose very different cultures would impact him enormously in years to come. in 1980, […] he signed on with Shiseido for a collaboration that was to enable the Japanese cosmetics group, until then unknown on the international scene, to establish such a powerful visual identity that it became one of the world’s leading market players in the 1980’s and ‘90’s. Lutens created makeup for the company, designed its packaging, took photographs, and sought to reinvented Shiseido’s entire image, while also expanding their business into foreign markets. 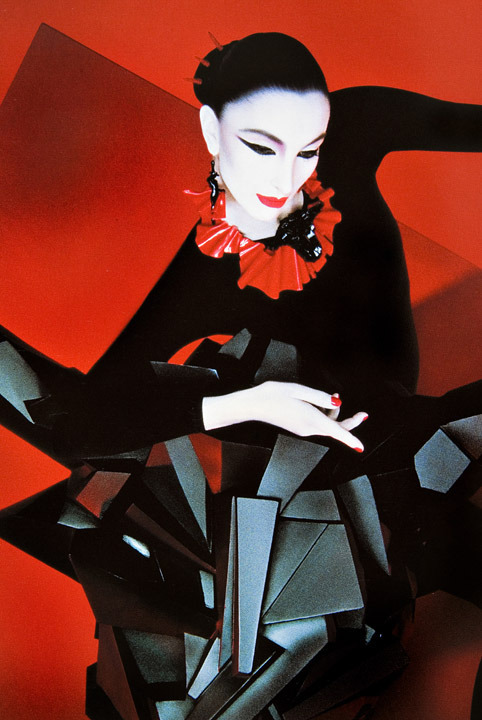 It is all thanks to Serge Lutens that Shiseido, today, is a market force and beauty giant. However, his success wasn’t limited just to beauty, marketing, and business development. Throughout the 1980s, he also shot various advertising campaigns and films for Shiseido. He was so brilliant, he won two ‘Lions d’Or‘ at the International Advertising Film Festival. [It] “burnt a hole into everyone’s collective memory”, according to Chandler Burr, former New York Times perfume critic, in his book The Emperor of Scent, which chronicles the work of ‘nose’ Luca Turin. Turin, for his part, classifies Nombre Noir “just too wonderful for words, one of the five great perfumes of the world”. No longer in production, but still a favourite among fragrance-lovers, a 60ml bottle is listed on eBay for $999 (£614) at the time of writing. In 1992, Serge Lutens established his perfume headquarters at Les Salons du Palais Royal, but he was still working under Shiseido’s umbrella. Then, in 2000, with Shiseido’s financial backing and blessing, he went independent and launched his own, eponymous, niche brand. In all cases, however, whether it was perfume for Shiseido or creations for his own house, the effect was the same: he revolutionized the field of perfumery just as he had done decades before in beauty. By 2007, the range, depth, and impact of his decades-long work across various artistic platforms resulted in Serge Lutens being awarded the title “Commandeur des Arts et Lettres” by the French government. 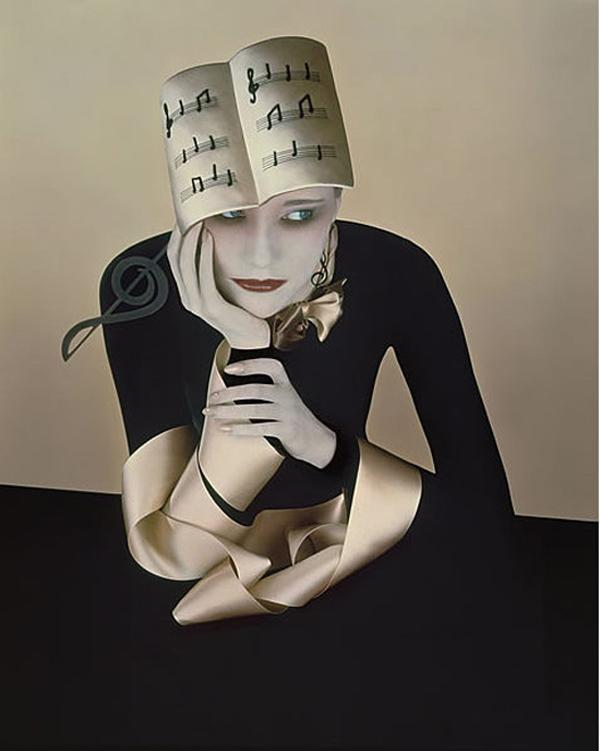 I’m not a psychologist, but it’s hard to escape the feeling that Freud would have had a field day by Serge Lutens’ symbolic attempts to return to his mother’s womb through the exploration of every possible artistic medium concerning women. 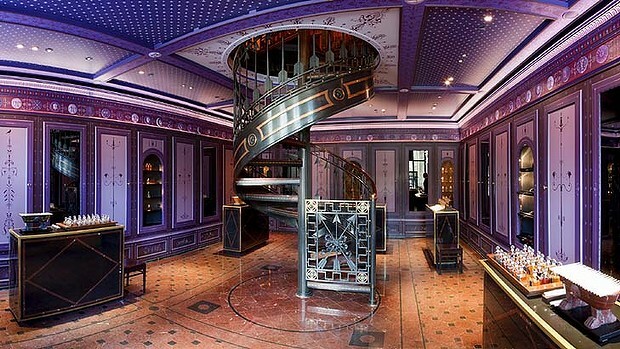 Even that great spiral staircase in Les Palais Royale has Freudian meaning, particularly in light of Serge Lutens’ stairwell trauma that night back in 1943. Please don’t think I’m making judgments; I am not. We all bear childhood scars, but some of us have suffered more than others. And, frankly, my heart goes out to Monsieur Lutens for what clearly seems to be an emotionally devastating childhood. We are all shaped by our past and, as Thomas Hardy once wrote in Tess of the d’Urbervilles, “experience is as to intensity and not as to duration.” Serge Lutens began his life in war and emotional trauma, but he used those experiences as a wellspring from which to draw strength and to overcome all obstacles. A prodigy and genius, he took the beauty and fashion world by storm, changing their face forever, before eventually setting his sights on the world of perfumery. In Part II, we will explore that world and his fragrance philosophy. This entry was posted in Fragrances, Perfume Profiles or Interviews, Serge Lutens and tagged Serge Lutens, Serge Lutens and Dior, Serge Lutens and Shiseido, Serge Lutens at Shiseido, Serge Lutens background, Serge Lutens biography, Serge Lutens childhood, Serge Lutens interviews, Serge Lutens personal life, Serge Lutens Philosophy, Serge Lutens photography, Shiseido fragrances by Kafkaesque. Bookmark the permalink. I’m speechless in awe, and more grateful than you know for this insight into the man and the artist who changed the game for me. I think that if I can thank anyone at all for that descent into the fragrant maelstrom that is perfume bogging, it would be M. Lutens. Thanks to your post, a lot of things that eluded me before have fallen into place. Thank you. What a fascinating story – thank you for sharing it with your readers! I have to say, I did side-eye a little at his recollection of being with his mother in the staircase in 1943. Not to say it was impossible that he would remember that, but having done quite a bit of research in the area, it would be very, very, very unusual, especially for a male child (girls have first memories earlier than boys) to have a memory, especially one so vivid, before the age of 2. What is more likely, however, is that he saw his mother at a later point in her childhood and she told him the story, and he filled in the gaps. False memories are very strong and are remembered more concretely and with far greater detail than actual memories. Just as a note, false memory in this case isn’t something that didn’t happen (I don’t at all doubt the veracity of the story in war-torn France), but rather something he doesn’t actually remember but that he re-created using other information. But honestly, none of that *truly* matters, I just thought I would share it. His childhood, regardless of this memory, was most certainly a traumatic one – or at least a very chaotic one. I can’t imagine surmounting all of those issues and becoming such a huge success. Clearly, the ambition he demonstrated in spite of such an unenviable childhood speaks volumes about the man himself. It was really just so interesting to read more about the man behind the scents. Can’t wait for part II! I know exactly what you mean with regard to the memory issue: first-hand memory knowledge, versus a sort of hearsay memory knowledge where the gaps were filled in by others, even though one was actually there onself. That said, one of my good friends is a shrink in Paris, and she’s told me some amazing stories in new research about the age at which children can feel trauma and react to its triggers, even if they are too young to verbalise it. The stories are a bit akin to a Pavlovian reaction to triggers that the child cannot consciously identify or know. So, perhaps, stairwells were something like that in the young mind of Serge Lutens, with the full reasons of why being filled in and clarified much, much later. That said, as you noted, it really doesn’t matter. Experience and trauma are subjective, and whatever the specific details, his childhood obviously had a profound affect upon him (as it would on anyone!) and impacted the man that he grew up to be. I find it all somewhat heartbreaking, to be honest, no matter how philosophical and assured he is about it himself. I wonder if I would have had his strength to put things aside in quite the same way, and a part of me doubts it. All in all, I have to fight to suppress the desire to give Uncle Serge a big hug. I totally agree with Tarleisio! Thank you for this, beautiful work. My perfume life changed after smelling SL scents. Bois oriental and Tubereuse Criminelle, were my first picks! Wonderful. This glimpse into Mr. Luten’s past is enlightening, and his story quite remarkable. There is a dark lonely undercurrent to so many of his perfumes that I love. I view his olfactory work in a completely different category than the others in my collection. His story of hardship and rise to fame reminds me a little of the story of Vidal Sassoon. Knowing what you have now told us sheds a light of understanding on what muse drives his genius. I can’t wait for the rest of this story, and of course your interview with the man himself. I have one odd question. How did the monicker ‘Uncle’ get attached to his name? To me, that is such a familial and familiar term of endearment. Yet, the man himself seems to keep himself apart and alone. Curious about that… This is a brilliant piece, Kafka. I don’t know, dear Tora, how the moniker came about exactly, but I wouldn’t be surprised if it wasn’t the French media which gave it to him at a certain point and it spread from there. His other, lesser used nickname of “Le Grand Serge” definitely sounds like something that would come from the press. And speaking of interviews, I highly doubt it will happen. It was interesting that you brought up Vidal Sassoon, because I thought of him too. There are clear differences in terms of the extent of *lasting* success and a legacy that is direct-vs-indirect, but both men did have a similar start in some ways. Bravo Kafka. I always wondered about the transition from Shiseido to independence. I look forward to Part 2. OMG! I truly loved this extraordinary piece. So enlightening and inspiring. Thank you so much, Sandi L. I’m really glad you found it interesting. You’re right, his life is definitely inspirational. I doubt I could have the strength to put aside so many painful experiences and obstacles, but then, he was a prodigy with remarkable inner fire and resilience. C’est magnifigue! Your research, your analysis, the photographs used in your exploration of Monsieur S. Lutens – no longer quite terra incognita. “Experience is as to intensity” – indeed! Thank you! You really took your time with discovering all these things. It’s very interesting to read, although from my perspective, I can’t venture with my thinking into what is his aesthetic and how much it has to deal with his mother. I don’t think it’s easy eithet for oneself or for other people to guess or evenstudy that. I know our subconsciousness is a minefield of our experiences through life but I don’t think even a qualified person to ventute into it can really know why we act the way we do. I hope this didn’t sound like criticism as it wasn’t meant as such. I think you did an amazing article. The one thing I am not sure after reading it though is does Mr. Lutens perceives women as individuals or just as an epytome of his imagined woman? If you don’t believe in psychology or psychoanalysis, is there an answer to your question? 🙂 Does it even matter what it might be? If you don’t think qualified experts who have studied psychology can ever know the causes of human behavior and if you don’t accept Monsieur Lutens’ own analysis/opinion of the things that have shaped him, there seems no point in attempting to analyse anything at all to do with his behavior. He himself has said explicitly to two different sources about the impact of his mother and his childhood on him, about his subsequently blurred identity, and about how he “invented her so [he] could exist.” If you think that things like childhood abandonment and an infant’s loss of his mother can’t impact a person, and if you believe Serge Lutens can’t know himself because not “even a qualified person…. can really know why we act the way we do,” then I’m afraid I’m the last person who should offer an opinion on the subject to you. And, no, I am not taking your comments as criticism, but I do wonder about the question given your doubts about the field of psychology/psychiatry, and I guess I’m at a bit of a loss to know how to respond to that. But forgive any shortness in tone in this reply, as it has nothing to do with you. I’m completely exhausted and haven’t slept more than a few hours in total in a number of days now. Please, I didn’t read your comment as shortness. And you’re right, there is no answer to my question, it does seem rhetorical basically. It’s just, I think I’m egotistic in that regard, knowing yourself is not that easy. I don’t think we can ever completely understand ourselves, therefore, describing our experiences to a third person is bound not to be complete. That is basically my problem with psychiatrists. 🙂 That said, I do believe they do some terrific work and help many people. And I do believe we can understand ourselves quite well – some people. Still, I can’t help but hear Mr. Lutens’ words and beliefs as basically not woman-friendly. If all he does comes from the image of is mother, does he actually perceive other women as individuals worth of scrutiny at all? I feel like I’m trying to be mean here when actually I’m trying to like the man even more. I’m a huge fan of his work, I just don’t want to lose my love and admiration. P.S. I’ve read Undina’s comment below, and even though I don’t have such early memories, I know my boyfriend does. But even though we might not have early childohood memories, we do get influenced a lot by our experiences at that time. And even though this might sound as though I’m jumping into my mouth, I still don’t believe we can actually know how much those early years affect our lives. Because we don’t remember everything from that, our subconsciousness does. I’m sorry, I’ll stop now. And please don’t feel any need to answer me, I’d rather you get enough sleep. Wonderful story and truly very inspiring, despite a hard beginning in life, this man managed to become a wealthy, famous legend even if he only had his own self in his earlier years. He is actually very interesting considering he was capable of achieving all the things he did from a very young age, talented without a doubt, but on the other hand I feel as if he hasn´t been able to recuperate from his traumatic childhood entirely. I do understand how strong childhood trauma can be, since one of my earliest, vivid memories is from the time I was 3 years old. That particular day, which would have been a Saturday or Sunday, I woke up from my sleep to find myself entirely alone in my house, I started to look for my parents all over the house and discovering that I was alone, I still remember that terrible feeling of despair I felt, I thought I had been abandoned. So I tried to open the door of my house, but of course I was too small for that and I didn´t knew how to use the keys, then I wanted to use the phone to talk to someone but again I had no idea how to use it. So I did what I knew best, sit in front of the door and cry, a few minutes later which where an eternity to me, my mother arrived from the errands she had gone too, and held me and hugged me. She says she was absent for about 10 minutes, but in that period I sadly woke up, and had a trauma for six years, until when I was nine when I finally learned how to stay alone in my house. In the case of mister Lutens his childhood must have given him a life long trauma 😦 I truly feel sorry for him and I do believe that all he does has had as inspiration his mother. I think she should have been braver and had taken care of him no matter what, even if it meant having a harder life in the beginning, she should have protected and kept him. 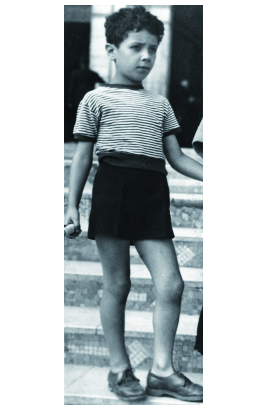 I wonder if he would have been the genius he became, had he had a normal, happy childhood? Thank you for sharing an experience that clearly impacted you deeply, dear Vicky. One of my favorite quotes is a line from Thomas Hardy that I used in the article, about the intensity of an experience mattering more than its duration. Things don’t have to last long to leave deep scars or to have a huge, long-term impact. Your childhood experience sounds like one of those. As for Monsieur Lutens’ mother, I don’t think it’s fair to judge because we would inevitably be projecting modern views onto the past. It’s hard enough in today’s society to be a single mother in wartime, but can you imagine being kicked out by everyone you know, ostracized, smeared with the taint of having an illegitimate child, and having ZERO means of support? Women didn’t have careers back then. How would she have raised the child with no support from any family member, no job, and wartime deprivations? And all of that assumes that she wasn’t thrown in prison for the crime of adultery!! No, with all due respect, I don’t think she could have taken care of him, otherwise I think she would have. Such an amazing person with so many talents, not least of which the inner strength to become the man he has from such difficult beginnings. I have the utmost respect for him. Fantastic article, looking forward to part 2. 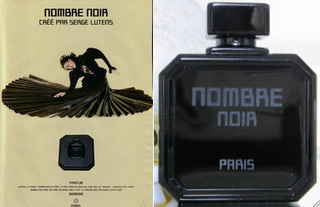 Wearing sarrasins today, recently acquired overlooked gems douce amere, chene and….I actually got my hands on a 4ml official sample of the fabled nombre noir. It still has its icy green rosy heart and smells so 80s in the best way. “Uncle Serge” has had a profound impact on my appreciation for the overáll aesthetic of perfumery – tous est merveilleux! You’re very welcome. I’m really glad you liked it, Tim. Part II is up already. How exciting that you got Nombre Noir! Utterly fab, you lucky devil, you! This is a lovely series and I look forward to re-reading it at leisure this weekend. 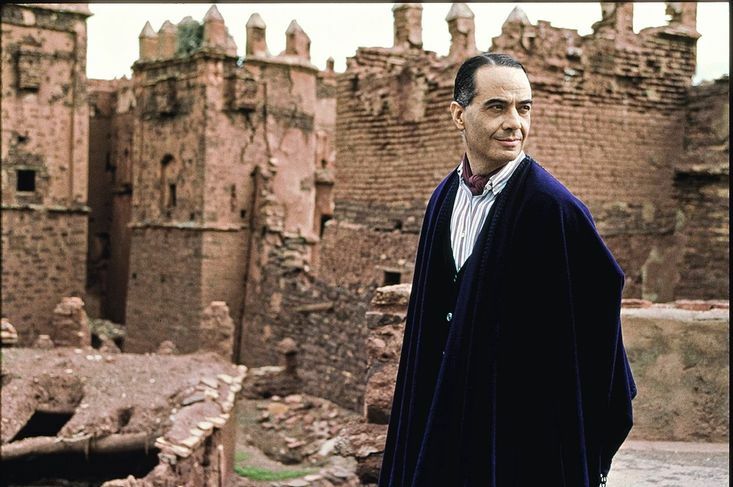 I am a huge admirer of Serge Lutens (and Christopher Sheldrake) too and identify both with the aesthetics of the house as well as the ‘thought process’ revealed in his perfumes. So of course this article is a treat- Thank you! Hi Lavanya, welcome to the blog! Thank you so much for stopping by and taking the time to share your thoughts. It’s the Cult of Uncle Serge over here, so it’s always great to have another fellow admirer. I’m very glad you enjoyed the series. What is your favorite Lutens fragrance or, rather, since it may be too hard to narrow things down, what are your top 3 favorites? Thanks Kafka! I have been dipping into your archives without commenting but had to comment on this one. I haven’t smelled many of the non-export scents since I’m reserving them for when (and if) I visit Paris. My absolute favorite is Tubereuse Criminelle (tuberose is my favorite flower ). I also love Un Lys..My third favorite would probably be Fleurs d’ Oranger.. All white florals for some reason. These are the only three that I have owned full bottles of, but I have decants of some of the others. Which are your favorites? Cuir Mauresque if I remember right from your about page? Wow- I really need to try de Profundis. I was reading your list of favorite perfumes and we have a few common favorites like Puredistance M, Shalimar and Tolu (M and Shalimar are in my top 10). I tried Cuir Mauresque with too many other leathery ambers- I have a decant so I’ll try it again when the weather cools down. Do you like EdLO’s Rien? I can see you liking that one too. haha- Suzanne is such a darling- Though I don’t know if I deserve her compliments. And I think Puredistance M is glorious too. It is one of the few ‘smooth’ perfumes that I adore, since I usually seem to favor rough edges. Well, some people are totally anosmic to ISO E Super. Actually, the vast majority seem to be! So, perhaps you are one too, even if you can detect other synthetics. Perhaps your best bet to smell ISO E Super is to get a sample of Geza Schoens Molecule 01 fragrance, as that is almost 100% ISO E Super. *shiver* For some people, even if they can’t detect the aromachemical’s nuances and aroma, they can still tell it’s there by the migraine headache that they get from it. oh and looking forward to your review of Rien! Wow! 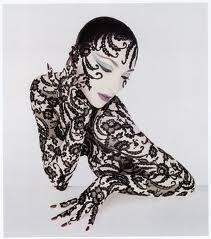 Serge Lutens is truly amazing. My heart aches reading about his childhood and the loneliness that he must have felt…The fact that he turned that around and went on to create such beauty in the world is truly inspiring. I look forward to reading part II. I love when you do the historical posts. This was so interesting. Sad, but very interesting. There aren’t that many people history of whose life is interesting to me and there are not that many bloggers those biographies’ interpretations from whom I would be willing to spend time reading. This post is one of the rare examples of what I would want to read. Thank you, Kafka. I can confirm that I have some recollections from my childhood when I was under 2 years old. Those are not coherent memories but rather very fragmented glimps but I know that they are mine, not transferred by my parents, since they are very precise, do not have any significance from the adult standpoint and have some references to things that couldn’t have happened later. Thank you, sweet Undina, it means a lot to me, especially given that you’re not particularly interested in biographies or history. I’m very touched. Just out of curiosity, what in specific made this sort of biographical treatment different? The range of what the man himself has accomplished, the more psychological aspects in the piece, or the photos of his more artistic side? As for your young memories, I believe you. But you are a woman, so that fits with what Kevin says are the studies on this issue. He has some expertise in the matter of the psychological development of children, so I’m sure he’s right when he says it’s very, very, very rare for male infants/toddlers below a certain age to have full, crisp recollections of events. Fragmentary glimpses, yes, but full memories? Much rarer. Still, I’ve always thought that the important thing in assessing the impact of an event on a person is how THEY think it is important, subjectively and personally. So, whatever the precise nature of Monsieur Lutens’ memories, the only thing that really matters is how important they were for *him*, you know? And, clearly, they were very important. Wowzer dear Kafka! This is such a tribute to our Uncle Serge and I hope it gets noticed and that something magical happens. He is indeed an artist. I never realized that he designed and photographed the ads in addition to product development, etc. On a personal note, my desire to see the mothership for myself was what prompted me to take that crazy day trip to Paris. I’m very glad you liked the piece, sweetpea. As for the ads, you know, I used to see them constantly when I was a teenager in Paris but I never knew he was behind them. At the time, my mother kept raving about some new Japanese company that had the best skincare and makeup products, but since such things were of no meaning to me, I never really cared about the debut of something called “Shiseido.” I certainly had never heard of “Serge Lutens,” but, now, seeing all those photos, it brought such a huge smile to my face and such a trip down memory lane. I think I’m going to get one of the coffee table books that has all the Lutens art-work in it, because I find them absolutely riveting. You blow my mind, Kafkaesque. This is absolutely stellar – so fascinating in terms of the amazing man himself (and I knew darn little of his background, aside from his genius as a makeup artist), and so thoughtfully, thoroughly and tenderly written and laid out by you. If it’s hard to imagine the trauma of Monsieur Lutens’ childhood, it’s even more incredible – and awe-inspiring – to see the way he shaped his life, his career, his whole persona in the aftermath of that childhood. I’m so touched by your reply, dear Suzanne. Thank you. I don’t have words to tell you how much your words mean to me, but I’ll hold them close forever. I’m so glad you liked it, hon. I feel so much for that little boy in the photo. And so much awe at the extent and range of his accomplishments.